Thelonious Monk's jazz anthem 'Round Midnight and the pop standard These Foolish Things (Remind Me of You) seem to have something in common. To be sure, they are completely different songs musically—'Round Midnight is in a minor key and These Foolish Things is in a major key, and their chord changes are different. But when you slow These Foolish Things to a crawl, the similarities in feel and how both progress are remarkably similar. It's my belief after a bit of research that one may have influenced the other. Thelonious Monk's 'Round Midnight, of course, is the most recorded, best-loved and most easily identified jazz standard. These Foolish Things continues to be one of America's best-known pop standards. 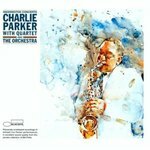 I had never even remotely equated the two songs until this weekend, when I found myself listening intently to Charlie Parker: The Washington Concerts for a writing project. On that CD, Bird plays These Foolish Things, backed by a big band. Joe Timer's arrangement is taken slightly slower than the standard's usual mid-tempo pace. As I listened to Bird's take, I realized that the chart sounded eerily similar to Dizzy Gillespie's 'Round About Midnight from the 1948 Salle de Pleyel concert. Could it be? So I played Dizzy's version, and the feel and mood were very close. Then I played Bird's These Foolish Things again, this time humming 'Round Midnight over the top. It was a rough fit, but a fit just the same. Puzzling. That's when it hit me: Could Monk have been consciously or subconsciously influenced by These Foolish Things when he wrote his ingenious jazz classic? So I did a little digging. 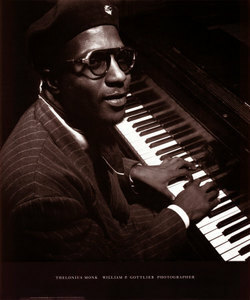 According to Thomas Fitterling in Thelonious Monk: His Life and Music, a version of 'Round Midnight was likely written by Monk as early as 1936, under the title Grand Finale. 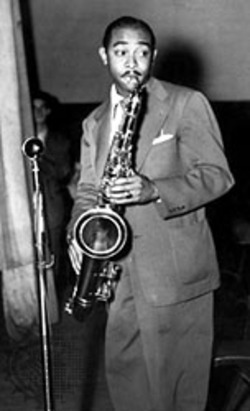 In 1944, bandleader Cootie Williams wanted to record and publish the song. So he offered Monk a $300 advance. As part of the deal, Cootie asked for partial composing credit, which Monk handed over. Cootie [left] recorded the song in 1944 and used it as his theme. Monk recorded 'Round Midnight for the first time in 1947, for Blue Note. So, 'Round Midnight, or some draft of it, dates back to 1936. Interestingly,These Foolish Things also was written in 1936, by Holt Marvell and Jack Strachey for an English revue. 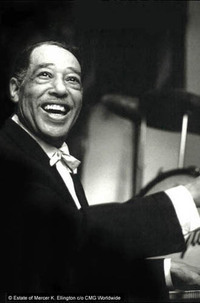 Given that Monk likely wrote a version of 'Round Midnight in 1936 and that These Foolish Things dates back to the same year, Monk would need to have heard the song if he was truly influenced by it. I pulled out Joel Whitburn's Pop Memories (1890-1954): The History of American Popular Music. Five recordings of These Foolish Things were released in 1936. All were commercial hits. The two best-selling sides that year were Benny Goodman's (which hit No. 1) and Teddy Wilson's [pictured] with Billie Holiday (it reached No. 5). 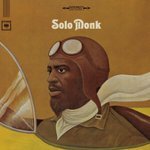 If we assume that Monk heard the pop hit, and if we take a leap of faith that he was directly or indirectly influenced by its catchy melody, which version most likely got into his head and under his skin? After listening to three of the most popular 1936 recordings, I'll put my money on Teddy Wilson's version for Columbia. If you listen to Teddy's [pictured] playing in the song's first run-though, before Billie starts to sing, you'll hear that his stride style here is a little choppy—there are notes that drop in ahead of the beat and before it. 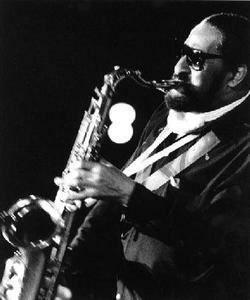 It's certainly not a stretch to imagine that Wilson's playing on this side seeped into Monk's early writing and influenced his playing style. "It never struck me that way. But I have never been very good in general at what for some people is an art. It will sometimes take me forever, particularly with a standard original, to realize that one song is based on the changes of another. When a new version takes on a life of its own—even if you made the connection originally—you stop making it. To me, the two songs don't have a connection. But that doesn't mean a thing. You need to talk to someone with a knowledge of chord structure." "The two songs are very different," Hal said. "One is in a minor key and the other is in a major key. The bridges couldn't be more different. Both do resolve in E-flat major. But none of this technical stuff says anything about one song influencing the creation of another. You never know what songs trigger others. Only the artist knows for sure. And in most cases not even the artist is fully aware of what influences him." And that's where we'll leave it for now. It's my guess that Monk, like all pianists of the time, was influenced by Teddy Wilson's playing. It's also likely that Monk heard and enjoyed Wilson's hit recording of These Foolish Things. While 'Round Midnight is not based on These Foolish Things' chord changes and Monk never discussed the hit's influence on his brilliant work, to my ear there are similarities—the way both ascend as they progress, their clip-clop tempos, and how both melodies have a yearning feel. These two songs are by no means twins. But to me, they do sound a bit like distant cousins. "Thelonious Monk delighted in unconventional rhythms, but his most significant contribution to the new music would be harmonic. Born in North Carolina but raised on New York's West Side, he was just 23 years old in 1940 but had already written several of venturesome tunes, filled with unusual chords and voicings, that would become staples of postwar jazz—'Round Midnight, Epistrophy, Ruby My Dear and Well You Needn't. Monk's music was thoroughly grounded in all that had gone before." JazzWax tracks: To follow the 'Round Midnight-These Foolish Things trail, listen first to Charlie Parker's These Foolish Things from The Washington Concerts and compare the feel to Dizzy Gillespie's 1948 'Round About Midnight. Then listen to Teddy Wilson's version of These Foolish Things on Columbia with Billie Holiday from 1936. 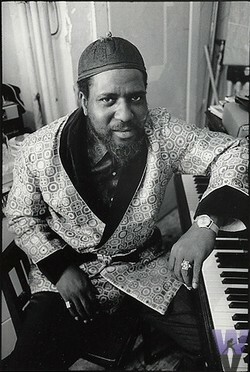 Pay particular attention to Wilson's piano playing and how it might have influenced Monk's style and phrasing. Next, listen to Bill Doggett's straightforward arrangement of 'Round About Midnight in 1944 for Cootie Williams. (If you don't own Cootie's version, you can hear a sample here.) 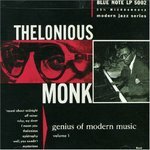 Then dig Monk play 'Round Midnight (1947) on Thelonious Monk: Genius of Modern Music (Blue Note). Finally, for sport, listen to Monk's two recordings of These Foolish Things—the first on Thelonious Monk (Prestige/1952) and the second on Solo Monk (Columbia/1964). JazzWax video clips: Go here to see Monk perform 'Round Midnight. His performance never ceases to astonish. Next go here and listen to Benny Goodman's 1936 version. Fascinating to hear the two together. 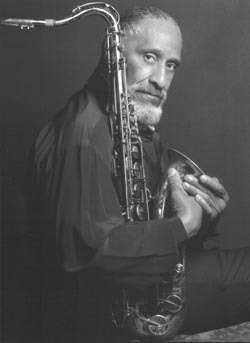 Throughout the seven decades Sonny Rollins has been recording and performing, his playing has always contained a certain poetic urgency. From his work in the early 1950s with Miles Davis and Thelonious Monk to his most recent album, Sonny, Please, Sonny has worked tirelessly to create art that grabs listeners and awakens their aesthetic sensibility. I love Sonny's art because it's simultaneously strong and delicate—no matter the decade. When Sonny plays, you initially hear a robust, commanding sound. But as you listen to what he's saying musically, you hear a warming infusion that beckons and makes his art accessible. As Sonny told me earlier this week, he is never happy unless his playing moves listeners. And like any great artist, Sonny is the ultimate judge of whether that mission has been accomplished—not audience applause or CD sales. JW: Does an artist ever get over the anxiety of being emotionally naked in front of judgmental strangers? SR: [Laughs] Well, no, I suppose not. But I wouldn’t go so far as to say “terrifying.” The fact that you’re doing what you’re doing on stage—the way you just described it, "naked in front of people"—that edgy quality is always there. I don’t care how long you’ve been playing. You have to face that feeling every time. So yeah, a certain tension is always there when you go out on the stage, before you start. But I’m loathe to call it terrifying. That might be a little overstated. JW: What would you call it? SR: There’s always the excitement of going out on stage. That’s part of it, and that’s probably what makes performing special. The anxiety gives it a lot of extra juices, and when those juices flow, that’s all part of the creative process and result. JW: When you were at Carnegie Hall last year, what did you think of the recording? Is it coming out? SR: No, it’s not coming out. I didn’t like the recording after I heard it, so I’m not going to put that out. JW: Was it the sound of the recording or the playing? SR: I didn’t really feel that I was playing up to a level that I wanted, as a 50th anniversary recording. So I didn’t think it was ready to be put out, you know. I’ll be putting out other records. JW: What are you working on now? SR: I hope to record a studio or live album and release it by the end of this year. JW: Do you know what material you'll be recording? JW: It must be great to have that kind of control over your art. SR: I know, it is. But it hasn’t been easy to get to this point. In my case, it’s been a little bit easier because I’ve been signed to various record companies over the years. To sign me, each has had to sort of give me my head. Because what I do is so singular, and they really had to go by what I said. 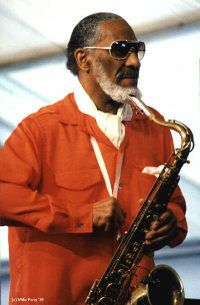 It’s very hard to be an A&R man on a Sonny Rollins date. 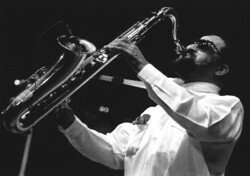 JW: They understood soon enough to sit back and let Sonny Rollins do his thing? SR: More or less, yeah. I would say that would be proper to say that. JW: In 1981 you recorded with the Rolling Stones, on the album Tattoo You. Did they appreciate your playing? SR: I have no idea. I know the record was very successful. It's a funny story. I heard myself on the album by accident. I was shopping near my home. They play a lot of music over the sound system in the shopping malls, you know. I was walking through there and heard this record with a sax player. It caught my ear and I wondered who was playing, it sounded so familiar. All of a sudden I realized—that’s me! It was a song from that record. JW: Do people recognize you and come up to you in stores? SR: Occasionally. I try to be pretty low-key. I’ve had a lot of publicity in local papers. So a lot of people got to see me and know what I look like. JW: Do kids come up to you? JW: What gives you the most satisfaction today? SR: I hope I've been able to pass along a tradition. It's nice to know that I’ve been successful to some degree. But if I couldn’t give anything to people, I wouldn’t just enjoy playing for myself. Giving something and having someone get joy from my work is the creative circle coming around to completion. 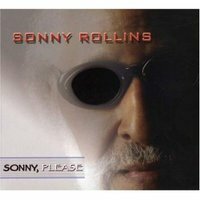 JazzWax tracks: Sonny's most recent CD is Sonny, Please, a combination of original works and standards recorded at the end of 2005 and beginning of 2006. The title track is a soulful exploration with touches of free form playing. The airy Noel Coward waltz, Someday I'll Find You is next, followed by a funky original, Nishi. Sonny digs in on the ballad Stairway to the Stars and offers up a rollicking medium-tempo line on Remembering Tommy. Serenade is a Italian love song taken in waltz time, and the album closes with another original, Park Place Parade, which has a joyous Caribbean beat and flavor. You also may want to dig John Coltrane's Like Sonny, from Coltrane Jazz (1959), a beautiful valentine Coltrane wrote for Sonny that plays off one of Sonny's trademark trilling phrases. As for the Rolling Stones' Tattoo You, Sonny appears on Slave, Waiting on a Friend and Neighbours. As you'll hear, Sonny's solos are captivating and add a new dimension to the rock band's gritty blues. Up until the mid-1950s, tenor saxophonists sounded like Lester Young, whose tender, blues-infused solos and laid-back style captured the heart. But by 1956, a younger, generation of horn players began taking the instrument in different directions. 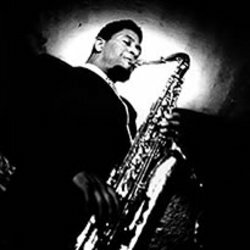 Leading the two breakaway movements were Sonny Rollins and John Coltrane—both of whom built their solos on modal scales rather than traditional blues and bop-era motifs. Helping to influence their experimental approach was the emergence of a new record format—the 12-inch LP—which allowed for more music and longer, more sophisticated solos. On an artistic level, Sonny was more of a horizontalist—roaming wide in his solos, working the top and bottom of his horn, and pausing to let space have a say. Coltrane's approach, by contrast, was more vertical, compressing creative expression in high-intensity silos dense-packed with ideas. On a professional level, the two giants had enormous respect for each other—yet each was distinctly aware of where his turf ended and the other's began. 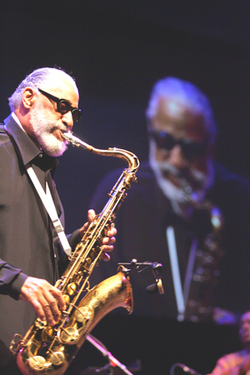 Both transformed the tenor sax, and their influence continues to be felt today. Yesterday, in the second part of our conversation, Sonny spoke about the creative process and Coltrane, his reluctance now to listen to jazz recordings, and what's required of any musician to become a serious artist. JazzWax: Your best-known standards—St. Thomas, Doxy, Oleo and even Airegin—all have a Caribbean feel. True? 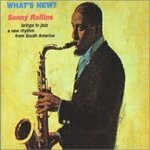 Sonny Rollins: I guess so. I never looked at it that way, and it wasn't intended, but I guess so in some cases. As you know, I have Caribbean roots. A Caribbean feel has more joy and a dancey thing going. The Caribbean has enormous color and life—from the birds and sky to the water and flora and fauna. My late wife, Lucille, and I used to vacation in the Caribbean every year. We'd go to various islands until we found a couple we enjoyed more than others. But since I'm alone, I haven't been there. I haven't taken any vacations, as a matter of fact. JW: You and your wife were married for 48 years. You miss her terribly, don't you? SR: Yes, I do. Lucille [pictured with Sonny] was a very beautiful person. We were married a long time, so it's hard for me to relate to other people, you know? There’s a guy who lives around the corner from me who's older than I am. He was married a long time, and his wife was sick a long time. His wife passed away not long after mine did in 2004. I heard the other day that, hey, this guy got married again. People are different. But In my case I'm finding it hard to replace her because I'm just a different type of a person. JW: Why did you quit performing in 1959 to practice on the Williamsburg Bridge? SR: One reason was to avoid disturbing a woman next door who was expecting a baby. But the main reason was to find a place where I could grow without worrying about anyone hearing me. Soon after I started going onto the bridge, I realized that it was an idyllic spot for me to re-discover myself as a musician. There were boats below with their horns. There were birds. It felt great to be up there under the stars. JW: Did anyone see you? SR: I found a spot away from the view of cars and subway trains. It was quite a remarkable period in my life. I went up there just to practice, and it turned into an album [The Bridge] and lore. I was there for about two years, in summer and winter, practicing up to 14 hours a day. That period ended after I appeared at [New York's] Jazz Gallery in 1961 to perform what I had been developing. JW: Do you often become frustrated with your own playing? SR: Oh yes. That’s why I’ve taken several sabbaticals from performing and recording. I have a certain ideal when I play, and this ideal has changed over the years. I've taken breaks because I've been frustrated with a performance or I just wanted to go in the woodshed and experiment. I always become frustrated when I’m not reaching what I hear for myself. JW: Do you think listeners hear what you hear? SR: Listeners may hear one thing, and I’m humbled to be able to reach them and touch them. But I hear things differently. Just because I'm able to touch people with my music doesn’t mean that what I’m looking for in my music has been met. What I’m looking for perhaps is unattainable. I know that. But I certainly have a right to try to achieve it. It’s my duty to achieve it. I don’t feel I’ve done enough in music to simply rest on my laurels. I have my own ideas about that. If you don’t mind, that’s how I feel about myself. JW: What do you hope a listener is thinking when listening to you? SR: Before I tell you, let me say that I feel tremendously privileged to have succeeded in this profession. I love what I do, and I think it’s an honor to be able to play in a field that has included people like Louis Armstrong, Fats Waller [pictured]—all of these guys who I thought were such tremendous people putting out all of this positive music. It was all that I could ever dream—to be involved in this. 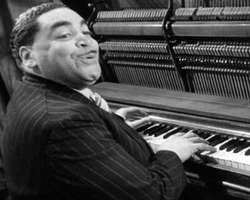 SR: My passion for this music goes back to hearing Fats Waller’s records in my home when I was a tiny baby. To be involved in this music is tremendous for me. But to get back to your question—for anyone who listens to me, I hope they get something positive out of what I play. I hope it gives them an extra spring in their step. The world is such a negative place. The ups and downs of life are such that I hope my music lightens their load. JW: But your goal certainly isn't to provide people with tranquil music. SR: Of course not. I never compromise in my art, in my music. I do what I do, and if it makes someone else's life better, then I'm happy. I’ve been told, “Gee Sonny, when I listen to your records, it helps me get up and go in the morning.” When people tell me that, I’m humbled beyond words. That’s what I hope. I hope I can make life seem a little sunnier for listeners, on my terms. I hope there’s also a deeper meaning to what I play. I just hope that my music helps people get through the struggles of everyday life. Tomorrow, in the final part of my conversation with Sonny, he talks about the anxiety of performing, his decision not to release the Carnegie Hall CD, and what he does plan to record and release this year. 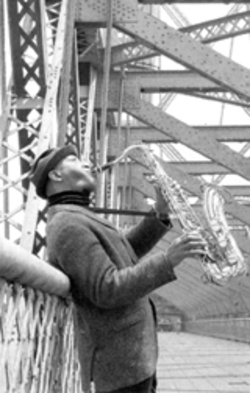 JazzWax tracks: In February 1962, after a two-year hiatus from performing—a period during which he practiced incessantly on the Williamsburg Bridge—Sonny returned to the studio and recorded The Bridge, with Jim Hall on guitar, Bob Cranshaw on bass and Harry Saunders on drums. 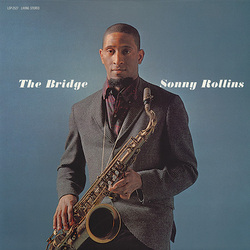 The Bridge is a fascinating recording and marks another turning point in Sonny's artistic development. Not only is his sound edgier and more soulful than in the past, but his improvisation is looser, faster and much more experimental. 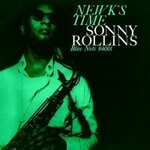 At the time, Sonny took a lot of heat from fellow musicians for hiring Jim Hall, a white guitarist perceived to be (albeit incorrectly) too mainstream for the avant-garde Rollins. Sonny and Hall also recorded together on What's New? 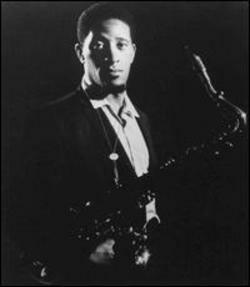 (April and May 1962) and on The Standard Sonny Rollins (June 1964). 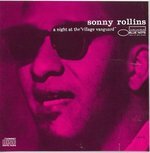 In between these dates, Sonny recorded Sonny Meets Hawk!, with Coleman Hawkins. After Alfie in 1966, Sonny recorded mostly on tour up until 1968, when he took another self-discovery sabbatical that lasted until 1972. JazzWax video clips: To compare Sonny's sound before and after The Bridge, go here for a superb 1959 performance and here to see Sonny with Jim Hall performing The Bridge. A big transformation in style. Next go here for a 1968 performance, recorded just before Sonny's second hiatus. His style has changed yet again. And dig how Sonny works his way into the jazz standard Four. Whew! 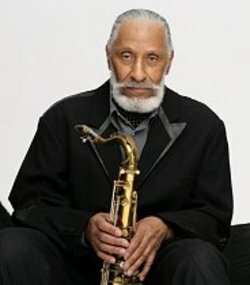 What sets Sonny Rollins' playing apart from other modern jazz tenor saxophonists is his enormous level of self-confidence, his respect for space, and his unrestrained love of music, melody and life. If you listen carefully to Sonny's solos, you'll also hear a wry sense of humor that flowers beautifully when combined with the intensity and ambition of his creative risk-taking. Yesterday, in the first installment of my four-part conversation with America's greatest living jazz musician, Sonny reflected on the 1950s, his distinct sound, and his life-long passion for practicing. JazzWax: Which musician from your past are you thinking about most when you play? 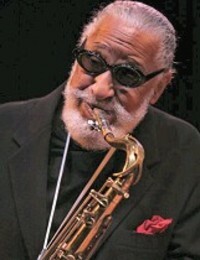 Sonny Rollins: Well, that’s pretty hard to say because I’m an equal opportunity borrower. I like all of these guys. I mean I take stuff from all of them. So many musicians—Coleman Hawkins, Lester Young, Ben Webster, Charlie Parker and others—have contributed so much. 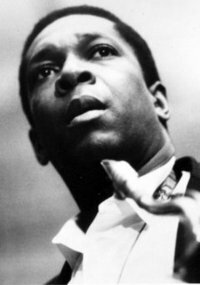 Only now, since Coltrane [pictured] and I are no longer contemporaries, am I able to listen to him and adapt some of his ideas. This wasn't possible back in the late 1950s and 1960s. As you know, there were two schools back then—Sonny and Coltrane. That’s a result of the fans, so both schools had to remain separate. Now I'm able to use some of Coltrane's ideas in my own music. JW: Do you listen to recordings of other jazz artists? SR: I don’t listen to records or CDs today. I’ve found it too difficult to listen to any form of recorded music over the last 20 years or so. The exception would be, of course, if I’m at a festival or listening to others play. But in my home, I can’t. I don’t know why. Someone said it’s because I don’t want any more information in my head. Or that I don’t want to unconsciously take anything from anyone else. Both are probably accurate. You have to understand, I already have these artists in my head. If you said to me, “Coleman Hawkins” [pictured], I’ve absorbed enough of his music to automatically be able to drink from the spring of music he left here. JW: When you put your horn in your mouth to play, what's going through your mind? SR: When I was a boy practicing the alto sax in my bedroom or in the closet or someplace else in my house, I would sort of do what I do now, which is go into a stream-of-consciousness state [pictured: Sonny at age 15]. This is what I do today when I’m soloing in a concert setting. I go into this neutral mental state. To create, my mind has to be blank. I may think of a few things at the beginning to get started. But when I really get into a solo, my mind is completely blank. You can’t think and play at the same time. It comes too fast. JW: What comes too fast? SR: Ideas moving from my mind to my mouth and hands. I’ve tried in the past to think about ideas while practicing with my current band. I might have been at home when an idea came to me and thought, “Gee that would fit real well when I’m improvising on this or that particular song.” But when I take that idea on the stand and try to do it, I can’t. It’s too slow. By the time I think about doing it, the actual moment has passed, and it would sound contrived if I tried. JW: Thinking about structured ideas actually can trip up the natural creative process? JW: Is it difficult not to think about anything when playing? SR: As an artist, ideas have to be absorbed on such a subconscious level that you’re not really thinking about them. Anything less is a problem. Any kind of a conscious level of thinking to direct what I’m playing in one way or another, or to do this or do that, completely destroys the purity of the whole endeavor, you know? JW: But you need to think in advance about the basics—the songs, the key and so on, yes? SR: Of course. But when you create, when you improvise, there has to be a free flow from your subconscious to your expression. You can't think logically at this point. JW: Is this part of what's needed to become a great jazz musician? SR: Well, I’m a little uncomfortable with you calling me great. JW: Let me put it this way—what it takes to become an artist? SR: OK, that works. To be an artist, you need a certain amount of natural gift. That’s No. 1. You have to be gifted. Because I know a lot of people I grew up with, all the guys I grew up with—we all wanted to be jazz musicians. Everyone did. That was the cool life. But we all couldn’t do it. Everybody didn’t have certain musical gifts. I had more of a gift, so I could pursue it. So that's one—you have to have the talent and gift for being creative. SR: You also have to love what you’re doing. I really love music. When I listened to my idols, I was in another world. Music transported me from this material world to a more spiritual place. If you truly love what you're doing, then you just need a certain amount of industriousness. You have to study and practice and go through some times like that. If you put all of these things together, becoming an artist is possible. JW: You also have to work with incredibly talented people, yes? SR: Well, yes, sure. If you have enough talent and you’re committed, working with people who are superior to you always, will improve your playing. JW: Was "Newk" a nickname you liked? SR: When you receive a nickname, it’s something of an honor. It shows that your peers have an affection for you. So, yes I liked it. Miles, I think, came up with the name in the early 1950s, because he thought I looked like Don Newcombe [one of the first African-American baseball pitchers who played for the Brooklyn Dodgers, pictured]. JW: Alfie is a fantastic recording. How did it come about? SR: You like it? I'm so glad. I was playing at Ronnie Scott's club in London in early 1965 [right]. I was playing with three other English jazz musicians, and the movie was being made there at the time. While I was at the club, I was asked by director Lewis Gilbert to write sketches [incidental music] for the film. We recorded the sketches for the movie with a small group. For the soundtrack, Oliver [Nelson] arranged a beautiful score for 11 pieces based on my sketches. Oliver fleshed out what I wrote. He was a beautiful arranger. Tomorrow, Sonny talks about the joys and anxieties of performing, what he hopes listeners hear in his playing, and the CD he plans to release this year instead of his 2007 Carnegie Hall performance, which didn't please him. JazzWax tracks. 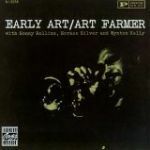 Between November 1953 and October 1954, Sonny recorded five breathtaking albums—The Thelonious Monk Quintet, Art Farmer's New Jazz Stars (also known as Early Art), Bags Groove with Miles Davis, Movin' Out and the Sonny Rollins Quartet. Each is essential, especially Early Art—with the tracks Soft Shoe, Confab in Tempo and I'll Take Romance. 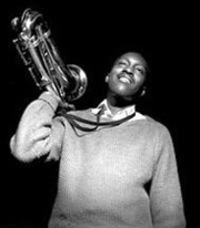 Between November 1955 and June 1956, Sonny recorded steadily with Clifford Brown and Max Roach, squeezing in a leadership date (Worktime) and a critical session with fellow tenor giant John Coltrane (Tenor Madness). 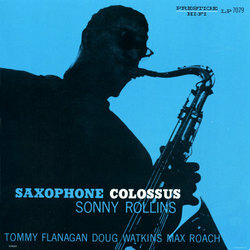 Then in late June 1956, Sonny recorded Saxophone Colossus, which firmly established him as a maverick and creator of a new sound. 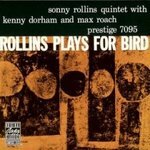 Between October 1956 and March 1958, Sonny recorded a string of stunning albums, each of which is a masterpiece—Rollins Plays for Bird, Tour de Force, Sonny Rollins Vol. 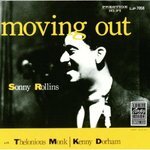 1, the piano-less Way Out West, Sonny Rollins Vol. 2, The Sound of Sonny, Newk's Time, A Night at the Village Vanguard and Freedom Suite. One of Sonny's most underrated and frequently overlooked albums is Alfie (1966). For reasons that have little to do with the actual music, the album routinely is categorized as some sort of commercial excursion by Sonny rather than the explicit gem and work of art it remains. 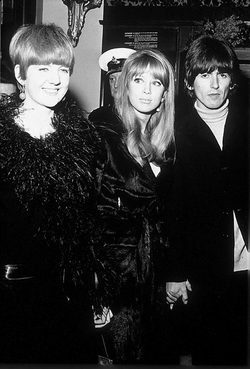 The album's opener, Alfie's Theme, is a brash, soulful melody line that serves, in retrospect, as a mature counterpoint to the child-like Swinging London rock scene exemplified at the time by the Beatles, Rolling Stones and Yardbirds. Sonny's ballad, He's Younger Than You Are, is positively gripping. 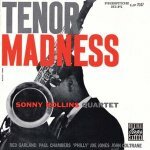 And On Impulse, Sonny's medium-tempo waltz, is deep and reflective. If you own this album, pull it out and give it a listen. If not, download or buy it. The writing is terrific, and Sonny's ideas and execution are exciting. Listen to On Impulse several times and you will start to hear experimental shades in Sonny's playing that didn't exist previously. Sonny's playing on Alfie represents a shift in his phrasing and attack. 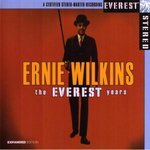 His playing on the album is more studied than his 1950s work for Prestige, Blue Note and Riverside, and it's softer and more wide open than his taut work on The Bridge (1962) from a few years earlier. Alfie features a sound that Sonny would expand and build upon in the years that would follow. 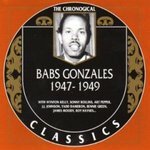 JazzWax history. 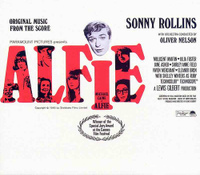 Sonny's score for Alfie was used in both the UK and American film releases. But for the U.S. version, Paramount Pictures also wanted a pop tune with words. So Burt Bacharach and Hal David were brought in to write a theme song. Cher recorded it, and her version is the one you hear playing over the film credits at the end. One final note: Bacharach and David won the 1967 Oscar for "Best Music, Original Score," while Sonny Rollins was merely nominated for a "Best Original Score" Grammy. The Grammy winner in that category was Maurice Jarre for Dr. Zhivago. I'm not sure why one song that appeared at the end of a movie as a commercial afterthought qualified in 1967 as a "Best Music, Original Score" Oscar entry. And I'm not sure why Sonny's bold score for Alfie was ignored. Certainly the Academy of Motion Pictures should consider a special award for Sonny's original Alfie score and the influence he has had on movie scores in general. JazzWax tracks. To appreciate the swan-like grace of Sonny Rollins' Alfie's Theme, go here to see a clip of the movie with the music playing in the background. Go here to see Sonny playing Alfie's Theme during a 1973 concert. 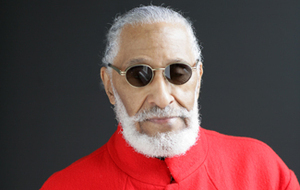 After careful consideration, Sonny Rollins has decided not to release a CD of his Carnegie Hall concert last fall. A highly critical judge of his own work, Sonny told me last week that he wasn't completely satisfied with his performance commemorating his famed 1957 Carnegie Hall appearance. 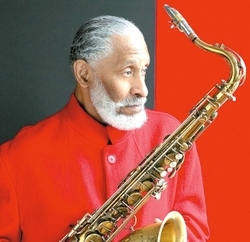 The news certainly will disappoint many Sonny Rollins' devotees, who believe everything the tenor saxophonist plays is high art and holds truths worth hearing. But as Sonny said with great humility during our conversation, he hears things in his own work that many people miss or politely overlook. Sonny, 77, isn't a perfectionist. He just sets giant standards for his art, and he doesn't let his creative side off the hook easily. What you notice first when speaking with Sonny is how similar his voice is to the sound of his horn. His voice has a deep, rich, muscular tone with a faint New York accent that resonates like a bell. The more you listen to Sonny, the more you realize he articulates the way he improvises. You ask a question, and Sonny thinks on the go, circling a topic, turning it in his thoughts as he tests out what he wants to say. Then he drives his point home solidly, often finishing with a compact summarization. JazzWax: You started as a pianist. Do you still play? 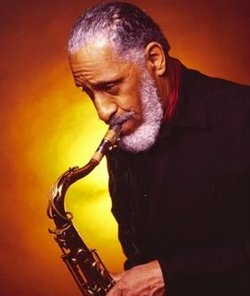 Sonny Rollins: Well, I wouldn’t call it playing. I can pick out a couple of notes that I use in my musical work. But I’m not a piano player by any stretch of the imagination. JW: Do you compose on the tenor or the piano? SR: I compose on both. JW: Which musician was hardest on you when you were coming up—pushing you to play better? SR: That’s an interesting question. I never really had someone who filled that role. I was always a very conscientious player. I practiced incessantly. And I never met anyone who discerned in me any lack of sincerity and had to push me, or anything like that. JW: When you hear people constantly praise your great late-1950s period, does that drive you nuts? 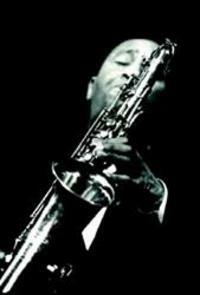 SR: I know that I had a very successful record—Saxophone Colossus—which was made in 1956. And I guess I became well known to a larger audience at that time as a result of it. A lot of people who talk constantly about that period probably think my career began then. Of course my recording career began many years earlier, in 1949. JW: Why do you think fans hang onto that late-1950s period? SR: Music is a very subjective thing. I don’t know what people see in certain things and what they don’t see in others. It’s difficult even to comment on my own work. I’m an eclectic type of artist. People will like one album and they won’t like something else. I don’t know what people like and don’t like. I just have to follow my own muse, so to speak. I just try to keep doing what I try to do. How people react to my playing is a complete mystery to me. JW: When you recorded those albums in the late 1950s, did you sense immediately that something special was happening? SR: Well, not particularly. There was a lot of music going on in the 50s at that time. I might have been young enough to not worry about anything and had a certain confidence in myself. At the time I didn’t really think that anything I was doing was earth shattering. As time has gone on, I might have felt that some of those records were OK. I had some great musicians that were alive in the 50s that were playing with me. I’m sure I liked some of that stuff. Subsequently, I’ve realized that regardless of what I like about them, the work is far from the best I should be able to do. I’m still on the trail, so to speak. So no, I don’t think I realized that anything I recorded in the 50s was going to last for posterity. JW: Did you feel back then that too many tenors sounded alike? Were you striving for a new sound? SR: I don’t think I was trying to consciously create a new sound. I had been a follower of all of the great players. I was a student of Coleman Hawkins, Lester Young, Ben Webster, Don Byas [pictured right]—all of the people who were prominent at the time. What came out was just Sonny Rollins. You have to realize that it’s very hard to completely copy somebody else. I didn’t try to copy others. I just tried to learn from them. Everybody has their own fingerprint, and that fingerprint is going to emerge eventually, especially if you get to become a recording musician. You’re going to hear your own independent sound. 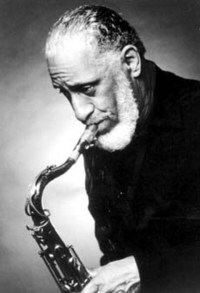 It just so happened I was playing a lot and people got a chance to hear Sonny Rollins and what that independent fingerprint was. JW: It must have been exciting to have your own sound. SR: Well, actually, I never really looked at it that way. Of course, I always realized I was held in certain esteem, because there’s always the competitive aspect of playing music, especially in the jazz world. 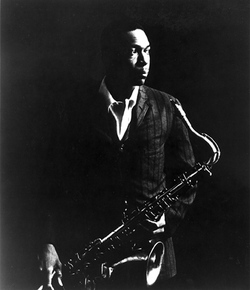 People are always comparing me with Coltrane [pictured], or they compare Lester Young and Coleman Hawkins, Dexter Gordon and Gene Ammons, Charlie Parker and Johnny…—whenever two people have made some contribution, there’s always the inevitable comparison. So I realized back then that I had reached a certain level of proficiency and acceptability. But you know, that was such a far back time in my development. I had such a long way to go. JW: You really thought you had a long way to go? SR: Well maybe…I put it that way now, perhaps…I articulated that more with words later on, after the 1950s. But at the time, the way I would have articulated it was through relentless practicing. I was always practicing and trying to learn on top of the music. So that’s how I expressed it at that time. Later on, I could articulate it with words by saying I had a long way to go. At that time I might not have thought it out in that particular manner. But I think it amounted to the same thing, really. JW: How many hours did you practice back then? SR: It depends. During some periods I practiced maybe 14 hours a day. In other situations, when I wasn’t able to practice that long because of conditions and where I was at, I practiced as long as I could. 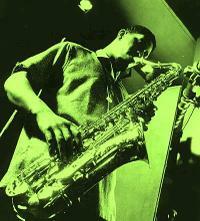 Even as a little boy, I’d practice in my room on an alto sax, so much so that my mother had to call me to eat dinner. A friend of mine spoke to my sister a few years ago and he told me that she recalled how much I used to practice. I always practiced. It was sort of second nature. I never viewed practicing as a chore. I always saw it as a necessity to improve. Now, of course, I can’t practice as much. But I recently thought, boy, if I ever had to stop practicing I’d have to search to find something to replace it. Because it fills up so many gaps in my life—being able to play and practice. JW: What do you mean by "gaps" in your life? SR: Not being able to practice would result in large blocks of empty time. Practicing and playing centers my mind mentally. When I went to India [in the late 1960s], I studied yoga. One day I told my teacher that I had trouble sitting still in one position. My teacher said, "You know Sonny, you don’t have to meditate that way. When you play your horn, that’s a form of meditation." I was glad to hear that. I mean, it made sense. But sometimes you have to go a long way around to find a simple truth. Playing fills this need for me, as a human being. Just being able to play satisfies so many things for me that are essential for life. Physical, mental, everything. JazzWax tracks. 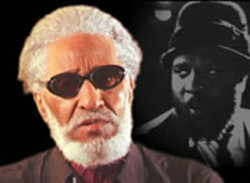 Sonny Rollins' first recordings were with bebop vocalist Babs Gonzales in January 1949. They can be found here. 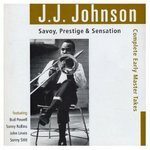 In April 1949, Sonny recorded with J.J. Johnson and His Beboppers (go here ), and in August 1949 he recorded with Bud Powell's Modernists, featuring Bud on piano, Fats Navarro on trumpet, Tommy Potter on bass and Roy Haynes on drums (go here). 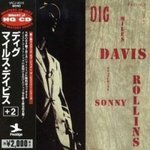 Sonny's period with Miles Davis in 1951 includes the albums Miles Davis with Horns (Prestige), Miles Davis: The Complete Birdland Recordings (Definitive) and, of course, Dig (Prestige). 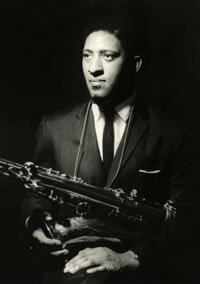 Sonny's first date as a leader—Sonny Rollins and the Modern Jazz Quartet—was recorded in December 1951 and featured Kenny Drew, Percy Heath and Art Blakey. Interestingly, the recording was made a full year before Milt Jackson, John Lewis, Percy Heath and Kenny Clarke would form the Modern Jazz Quartet and record MJQ. 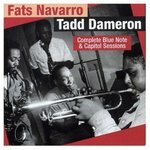 JazzWax video clips. 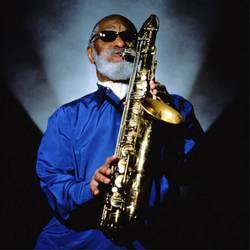 For a wide range of fabulous Sonny Rollins video clips and podcasts, go here. 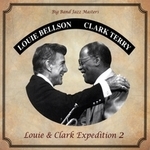 When I opened the mail Monday night, there it was: Louie & Clark Expedition 2—the big band CD that legendary drummer Louie Bellson told me about last fall when I interviewed him, the one he recorded with trumpet and flugelhorn great Clark Terry at the end of May 2007. I put on the CD yesterday morning as I sat down to write, and to be honest, I didn't take it off until closing down for the day 15 hours later. The album zigs. It zags. And it swings. All of the compositions are by Louie, and more than half the arrangements are by the late Tommy Newsom, the Tonight Show band stalwart. By 4 pm yesterday, I was so excited about the album, I picked up the phone and gave Louie a call. More on my chat with Louie in a minute. There are 13 tracks on Louie & Clark Expedition 2—each with a completely different feel and personality. All are imbued with Louie and Clark's travels through the jazz wilds over the past 70 years. Both were in Duke Ellington's band of the early 1950s, and both have played with every major big band and jazz artist—influencing most of them along the way. Both Louie and Clark adore the Duke's suites. They also have mutual admiration for the 1960s and 1970s Tonight Show band—Louie was a frequent guest, and Clark was the band's first African-American member. So this history-rich CD is a sweet marriage of tender rhythms and pretty notes. There's no filler or padding here. There are no low-energy throwaways or solos that go on too long. All of Louie's compositions have tremendous kick, as do his own arrangements. 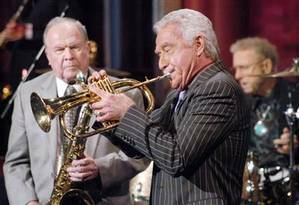 Tommy Newsom (pictured with Doc Severinsen and Ed Shaughnessy) arranged 7 of the 13 tunes in the fall of 2006 before he died on May 1, 2007. Sadly, Tommy never had a chance to hear the album. The remaining swingers were arranged by band member Albert Alva, Jack Hayes and the late, great Basie-influenced Nat Pierce. At age 83, Louie's playing has taken on a satiny finish. He keeps fabulous time throughout, with gentle, intricate stick work and rolls of old. Clark's phrasing is all heart, and the 87-year-old horn giant works in and out of melodies effortlessly, offering rich round notes and perfect intonation. These two guys have been around a long time, but neither is resting on his laurels here. The four-part Chicago Suite covers the album's first four tracks. 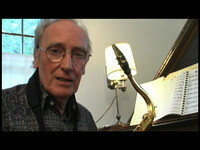 It has a distinct Ellington feel, capturing a range of the Duke's moods. Ellington's influence also can be felt on Davenport Blues, Give Me the Good Time, Back to the Basics (Old) and Now (the Young). Not too much pressure on the band's pianist, Helen Sung, who truly has a lovely touch. Most of the remaining tracks are straight-ahead swingers. The exception is Ballade, which has a lilting The Summer Knows feel that's so pretty you start to wish for lyrics. "Oh, sure, there's a lot of Duke in there. That's where it all starts for me. And Clark. Tommy [Newsom] wrote great arrangements for us. He was one of the premier arrangers. He did all those Tonight Show charts. Tommy was in Virginia and I was in California. We worked together in the fall of 2006. I sent him my compositions by mail. We worked over the phone. It was so beautiful working with him." Whose idea was it to use three drummers—Louie, Kenny Washington and Sylvia Cuenca—on Two Guys and a Gal? "That was Clark's idea. He heard my melody for the song. He thought it would be great. He was right. When I heard Kenny [Washington] was available, we had to use him. And Sylvia has played with Clark." Two Guys and a Gal opens with a shuffling samba beat and quickly switches to a jazz tempo—pure Tonight Show. Terry's Mood also has a California sound, with a fabulous solo by Clark. In fact, every tune on this CD has history baked in and celebrates the longevity of these masters and the cats they knew and played with along the way. Louie and Clark should be proud. Both were born to swing. Both show they still can. JazzWax tracks: Louie & Clark Expedition 2 is available at CDBaby.com here. 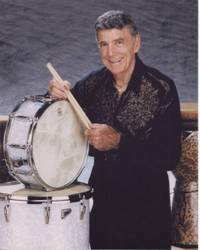 For more about Louie Bellson, visit his site here. 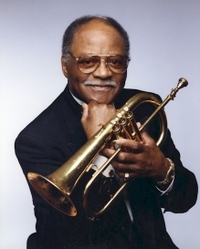 Clark Terry's site is here. One of my favorite Louie Bellson albums from the late 1950s is Skin Deep, which is available at iTunes. One of my favorite Clark Terry albums is The Trumpet Summit Meets the Oscar Peterson Big Four, with Clark, Dizzy Gillespie and Freddie Hubbard. It's also available at iTunes. JazzWax video clips: For historical perspective, here are a bunch of great clips featuring Louie and Clark in action. Check out Louie with Duke Ellington here in 1950 on Louie's composition, The Hawk Talks. And dig this clip of Clark with a Count Basie ensemble in the late 1940s that included Wardell Gray and Buddy DeFranco. Or listen to Clark here on Stardust in 1967. Now that's what I call a ballad! Beautiful music touches me deeply. By beautiful, I don't mean pretty—though pretty is good. I mean that the music is heart-felt and free of contrivance. When you let music inside, you actually can hear what great artists are thinking, which is a trip. The best of these musicians are spiritual—whether it's Bill Evans, Billie Holiday, Lester Young, Charlie Parker, Miles Davis, Sonny Rollins John Coltrane or Yusef Lateef. All were (and in some cases still are) committed to expressing themselves honestly and openly—a draining endeavour. Honesty takes guts. Baring your soul as a musician and letting your emotions pour through your instrument leaves you vulnerable and open to criticism and even ridicule. 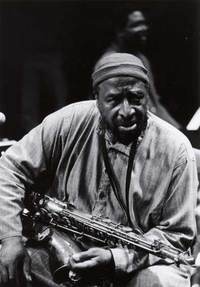 Yusef Lateef has spent his life trying to get his message across without worrying about what other musicians were doing or compromising his art. Each of his recordings offers a gentle truth—if you make the time to hear what he's saying. JazzWax: Does being spiritual help a musician develop a more distinct voice? 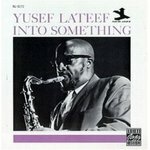 Yusef Lateef: I think so. To be yourself, you have to stop trying to imitate your mentors and the people you look up to. There was a time when tenor saxophonists would hold their instruments out in the air like Lester Young. But you can never become Lester Young. The best you can become is yourself. Once you realize this, you start a journey to find yourself. It’s a difficult, spiritual journey. The best sounds in music have a spiritual content. What I play can’t be heard anywhere else because that’s me. That’s what the great masters like Lester Young, Coleman Hawkins and Bird were saying. Be like you. JW: What was the big turning point in your life? YL: I look at my career as a continuum. Everything I’ve experienced has made me who I am today as an artist. There’s no moment when I felt I knew it all. I’m still learning. Like the philosopher John Dewey said, you can’t separate an artist’s experience from his product. JW: How do you maintain your spiritual side? YL: I try to be a good person. I try to be good to my children, my wife, my neighbor and the man in the street. I try to do good deeds. When I was on the road in the 1970s, my band used to play for orphans for free. I tried to help orphans because they’re special people. It’s not easy to let go of pretension. But it’s a choice you have to make. If someone wanted to imitate someone else, I wouldn’t down them. But I wouldn’t teach that. I try to help students find themselves. JW: All great tenor saxophonists have struggled with this, yes? YL: Sure. When Coleman Hawkins Fletcher Henderson's orchestra, they brought in Lester Young. But they didn’t like the way Lester played because he didn’t’ sound like Hawk. So Fletcher’s wife played Hawk's records for Lester so he could hear Hawk's sound. Lester said, "But that’s not me.” So he quit. He didn’t try to sound like Hawk. Instead, he joined Count Basie, stayed himself and became great with his own sound. 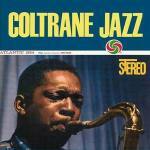 JW: John Coltrane took many risks to find his sound, didn't he? YL: Oh yes. In 1960, when Coltrane left Miles [Davis], a Swedish interviewer said his solos sounded like he was angry. Coltrane said, “No, no I’m not angry. I'm just trying many different things to find myself.” People like John Coltrane, Gene Ammons, Dexter Gordon—we all believed we should find our own voices. JW: You were many years ahead of Coltrane when it came to embracing spiritualism in music. How did he view you? YL: John was a very humble person and continuously searching for himself. I think he looked at me like I looked at him. We were on the same journey. JW: Do you think about nature when you play? YL: I reflect on nature and humanity whenever I prepare to perform or record. I believe that whatever I contemplate or try to achieve in life, a percentage of what I believe, think and feel will naturally come through my music and expression. I have an ongoing romance with the refinement of my music. 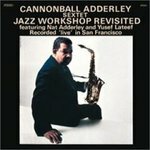 JW: What did you learn from Cannonball Adderley when you toured and recorded with him in 1962 and 1963? YL: Cannonball was terrific. I learned a great deal about the music business from him. Cannonball was a very smart businessman and very shrewd. He also was so informed about many different types of music, from Stravinsky to Schoenberg. When I joined Cannonball’s group in 1962, I had to memorize the whole book. Cannonball said, “On opening night in San Francisco, I don’t’ want any music on the stands.” There were a lot of songs in that book, and I didn’t have much time to commit them to memory. But I did. 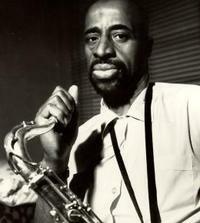 JW: What’s one thing about Yusef Lateef that most people don’t’ know? YL: [Laughing] I don’t know what people know and don’t know about me. I know that I’m still trying to refine the qualitative methods of composition. I think music is an open concept and that different approaches constantly come forth from different human beings who play music. That’s what I’m trying to do. I’m trying to find my way of expressing my music. I don’t’ think what I’m doing is anything new. I think what I do strengthens and excites that which is already in listeners’ hearts. My music has the possibility of intensifying a person’s emotions. And I think the music, in a large sense, has become the embodiment of my intuitive feelings and conceptions. It’s not just me. YL: There’s a saying, that “providence creates things in pairs.” When I say, "It’s not me," I mean it's what providence allows me to do when the sound comes through me. For example, you hear a beautiful voice and move toward it. Then you see the woman or man who's singing. It’s not the person singing who is drawing you near. It's the person who created the music and ultimately God. I believe it’s God who makes you cry when you experience beauty. JW: Have you ever seen people cry listening to music? YL: Of course. 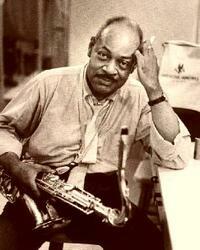 I remember watching a live performance of the late Ben Webster at The Montmartre club in Copenhagen in 1966. He was playing a Beatles song, Yesterday. Ben's playing was so beautiful that people in the audience were crying. This is providence anointing what was coming through Ben Webster’s music. 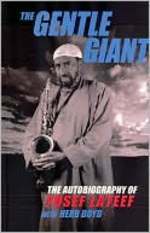 JazzWax pages: Yusef Lateef's autobiography is a fascinating read and provides many insight into his thinking about music and art. You can look inside the book and buy it here. 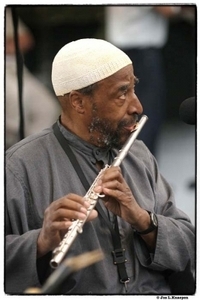 JazzWax video clip: I saved my favorite Yusef Lateef video clip for last. Here he is with Cannonball and Nat Adderley on tour in 1963. 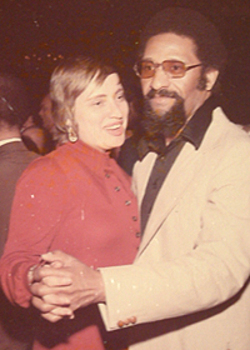 Yusef plays tenor on Jessica's Birthday, soprano sax on Brother John, and flute on Jive Samba. 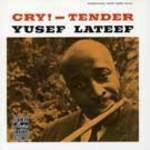 Whether playing competitive burners or thoughtful ballads, Yusef could bring it on in a gentle, caressing way. Yusef's technique of focusing on the notes rather than sheer technique makes you come forward to hear what he's playing—and saying. 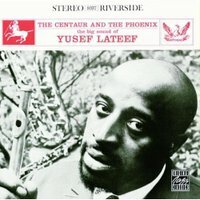 When Yusef Lateef speaks, you know immediately that you're listening to a highly spiritual person. His voice is so deep and gentle that you find yourself captivated by its rich, knowing tone. The sonority of his voice also compels you to think carefully about what you're going to ask him—or say in response to one of his questions. For the past 60 years, Yusef has made an art out of being true to himself and staying ahead of the musical curve. You can't accuse Yusef of selling out. 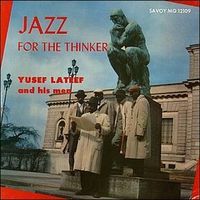 An early convert among musicians to Islam in 1948, Yusef played tenor saxophone in Dizzy Gillespie's big band of 1949. 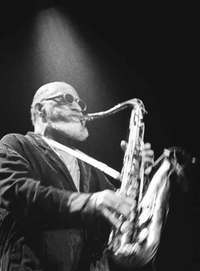 By 1957 the tenor saxophonist and flutist was writing and recording spiritual compositions for major labels such as Savoy and Riverside. 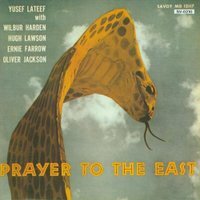 Yusef's adaptation of Eastern scales and his view of life had a profound impact on John Coltrane and other saxophonists who embraced non-Western approaches in the years that followed. JazzWax: What do you remember most about your childhood? 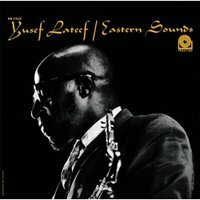 Yusef Lateef: My passion for nature. I was born in Chattanooga, Tennessee, in 1920. Two years later my family moved to Lorain, Ohio. Then in 1925 we moved again, to Detroit, where my father took a job in a bedspring factory. I was an only child, so I spent many hours by myself. Growing up alone made me more sensitive and more aware of nature—butterflies, the sky and trees. I was actually entertained by flowers and grasshoppers and ants. They drew my attention. At the time I didn’t’ realize that those things were the phenomenon of creation. I still marvel at nature. JW: What did you learn playing in Dizzy Gillespie’s big band of 1949? YL: I learned about self-reliance. When I joined that band, I just assumed that what was written in the musical parts was what I was supposed to play. But after two weeks, I realized that wasn’t quite the case. There was much more to the music than what was written. YL: For example, when we’d get to the end of a phrase in a musical part, there might be a whole note. At first I assumed I was supposed to hold that note for four beats, as written, and move on. Then I started to notice that the other saxes were holding that note—even though it was over on paper. And they all knew exactly when to stop holding the note and continue. It finally dawned on me what was happening. Dizzy was telling the band to hold a note longer by moving his elbow. If he moved it up, the band extended the note beyond four beats. When he snapped his elbow down, you knew it was time to move on. JW: Dizzy’s band of 1949 was especially great, and the arrangements on record sound so challenging. True? YL: Dizzy's band was very physical. You had to be strong to play those charts, which were written by amazing arrangers like Tadd Dameron (left), Budd Johnson, Jimmy Mundy, Gil Fuller and George Handy. It was like going to school for me. I learned so much about music and timing. 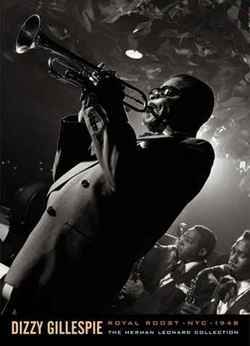 That band's sound and phrasing had a lot to do with Dizzy's physical movements and dance steps when he conducted it. Timing was everything. His body told you how he wanted an arrangement to sound. 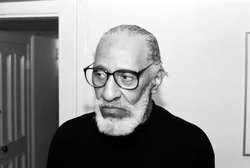 Dizzy used to tell me, “Yusef, give me the music students at Harvard for one day and I would give them a lesson in rhythm that would last them for a year." JW: What was the hardest arrangement in Dizzy’s book? YL: Probably Things to Come. It was tough to read, and the pace was very, very fast. You either kept up or you fell out. JW: What was Dizzy like as a person? YL: Dizzy was a wonderful human being. When I joined the band in early 1949, it was winter. We played Detroit, where I grew up. I didn’t have an overcoat, so Dizzy gave me his. It had a mouton collar. He was so generous. I felt so happy and proud to have it. 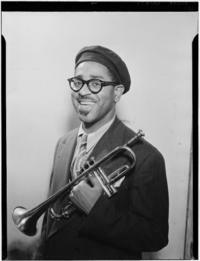 Dizzy's personality and musicianship attracted a lot of talented players. The guys in that band were fabulous—the sax section included John Brown and Ernie Henry on altos, Joe Gayles and me on tenors, and Al Gibson on baritone. Cecil Payne had already left. Plus we had Johnny Hartman singing. JW: Did you know Tadd? YL: Yes. Tadd taught me a great deal about writing and arranging. I used to go to his house, and he'd show me how to write what he called “turnbacks,” which were very important to Tadd's arrangements. These were a series of chord changes that progressed eloquently back to the main theme of a song. They were important because they let you extend a song without making it sound like you were repeating it. From a listeners' standpoint, they created anticipation and made you want to hear the main part again. JW: Did you have a chance to meet Charlie Parker? YL: On several occasions. Before I joined Dizzy’s band I used to hang around the Three Deuces on 52d Street in New York listening to Bird and Max. I was with Tadd one time, and Tadd said, “Why don’t you go up and play something with them?” I was too young to be afraid so I went up and asked if I could play. Bird said, “Sure, come on up.” Luckily they didn’t play Cherokee in B natural. We played something nice and slow—I Surrender Dear. 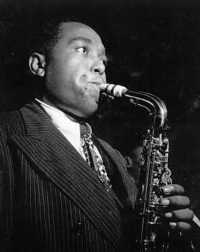 JW: Was Charlie Parker an inspiration? YL: He was more than an inspiration. In the early 1950s, I was working with Art Blakey at the Audubon Ballroom in New York. I was down on my playing around that time and told myself that if I didn’t get better, I was going to quit music. That night, when I was with Blakey, Bird had come uptown from 52d Street to hear the group. Afterward, Bird came over to me and said, “Yusef, you played good.” That brought me so much joy that I stayed with music and worked even harder. I still often think about what Bird said to me that night. 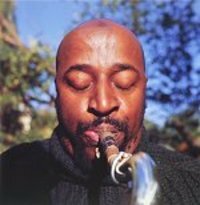 Tomorrow, in Part 2 of my conversation with Yusef Lateef, he talks about the importance of developing an individual sound, his exploration of spiritual music in the mid-1950s, his views on life and his time with the Cannonball Adderley Sextet. 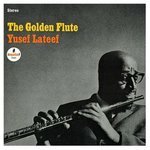 JazzWax tracks: Yusef Lateef's live and studio recordings with Dizzy Gillespie and His Orchestra can be found on a range of CDs. Perhaps the finest examples of this band's work are Hey Pete, Let's Eat Mo' Meat, Jumpin' With Symphony Sid and Swedish Suite. 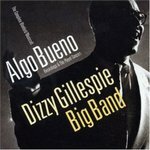 All of these songs and others featuring Yusef Lateef can be found here on Dizzy Gillespie Big Band: Algo Bueno. If you don't own this CD and want it, buy it fast. It appears to be drifting out of print. 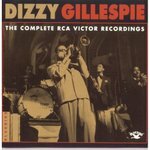 Or you can find the tracks and others from 1949 at iTunes on Dizzy Gillespie: The Complete RCA Victor Recordings from 1994. JazzWax video clip: For a taste of Yusef's huge and influential tenor sound, go here. It's not a video. 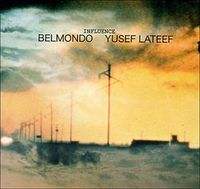 Instead, you will see a series of still photos of Yusef and hear him playing I Need You in the background. 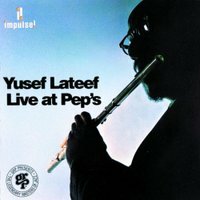 It's a terrific introduction to Yusef's full timbre and rich phrasing on the tenor sax. 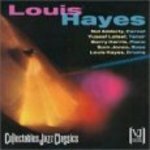 If you want the track, it's on Louis Hayes: Featuring Yusef Lateef and Nat Adderley from 1960. Listen carefully to the feeling behind Yusef's notes. It's impossible not to be swept away by the lush quality of his ideas, courage and passion. You always sense Yusef is trying to capture a new sound or level of depth. This is true when he's the leader on a record date or when he's appearing as a sideman. Yusef never compromises. I Need You is a fine example of his expression. See what you think. The best Blue Note albums are tapestries, not solo showcases. From founder Alfred Lion's perspective, the leader of a Blue Note date was of less artistic significance than the vibe and sound all the musicians created collectively. Which is why a musician who led a Blue Note recording session one week often was found recording the following week under the leadership of a musician who had just played on his date a week earlier. According to Lion, the individual was an interchangeable part; the sound that a carefully chosen group of great individuals created was not. 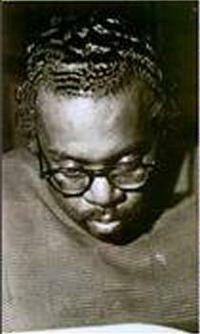 Part of Lion's gift was his intimate knowledge of each jazz artist's tonal personality and an uncanny ability to envision how their differences would sound together. So Lion paired the jagged Donald Byrd with the fiery Pepper Adams, and put the smoky Hank Mobley (left) together with the restless Horace Silver. For Lion, the art resided in combined textures—how one individual horn sounded pressed up against other individualists' expressions. One of the finest examples of Lion's "quilting" technique is Leeway. The album's leader was trumpeter Lee Morgan, but the April 1960 recording could just as easily have been led by any of the musicians on the date—alto saxophonist Jackie McLean, pianist Bobby Timmons, bassist Paul Chambers or drummer Art Blakey. Each musician makes a vital contribution as a soloist on this album—but it's their collective sound that takes your breath away. On Leeway, you hear a complex new sound that's more soulful and ambitious than previous Blue Note hard bop releases. Much of the album's beauty is in how the different artists sound playing as one. Morgan's machine gun trumpet almost mellows against McLean's sharp alto edge. In turn, McLean's phrasing takes on a air of salvation when combined with Timmons' strong church-like lines. And Timmons' playing is less percussive here than it is with the Jazz Messengers, thanks largely to the precise sound of Chambers' mid-range bass lines. Art Blakey does his part, keeping everyone moving with his nightstick drum patterns. Leeway was recorded at a critical moment in the careers of these musicians. 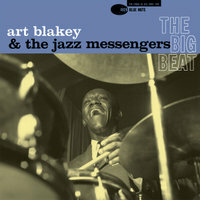 A month earlier, Morgan, Blakey and Timmons recorded The Big Beat with the rest of the Jazz Messengers. 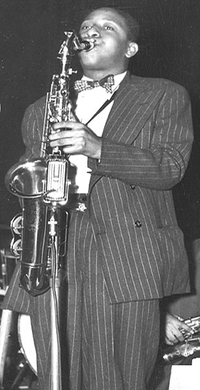 Two months' earlier McLean recorded Music from the Connection with Freddie Redd, in which McLean exhibited a more assertive and almost political sound on his alto. Three months earlier, Timmons recorded This Here Is Bobby Timmons, which heralded a new, neo-gospel piano style. As for Chambers, he had just returned from a rigorous spring tour of Europe backing Miles Davis and an increasingly independent John Coltrane. What makes Leeway so exciting is that instead of the formulaic model Blue Note used with such great success in the 1950s, there's a funky, intellectual soul sound emerging that keeps the music interesting from the first note to the last. Much of this dynamism comes from the four songs recorded. 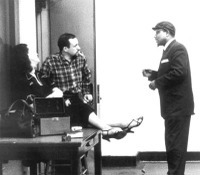 Two of he best ones were written by Cal Massey (left)—These Are Soulful Days and Nakatini Suite. 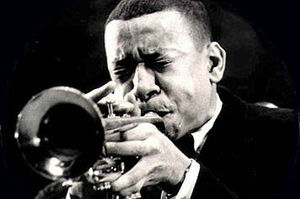 Massey was a trumpeter who spent much of his career writing modern compositions that leading jazz musicians embraced. 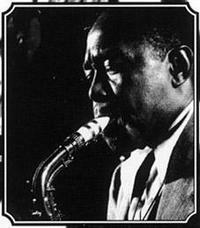 Massey's comfortably assertive and harmonically complex songs were recorded by Coltrane (Bakai, The Damned Don't Cry), Philly Joe Jones (Fiesta), Freddie Hubbard (Father and Son, and Assunta), Cedar Walton (Lady Charlotte) and Archie Shepp (What Would It Be Without You) and others. One of my favorite Massey compositions is A Pilgrim's Funny Farm from Lee Morgan's The Rajah. 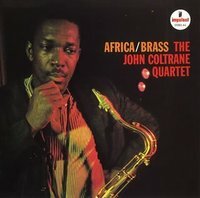 To give you a sense of Massey's breadth, he played trumpet on George Shearing's Satin Brass in 1959—and arranged Coltrane's Africa Brass in 1961. The fact that Massey was associated with two albums on opposite ends of the jazz spectrum—and that both had "brass" in their titles—is something else. Massey took risks that paid off, which is why he's so interesting. 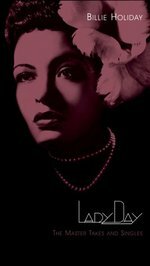 Sadly, Massey died of a heart attack in 1972, a day after attending the preview of Lady Day: A Musical Tragedy, which he scored. In addition to being a superb example of Lion's collective artistic expression, Leeway is one of the first jazz albums of the 1960s to integrate harmony and dissonance in a way that anticipated the uncertain decade to follow. 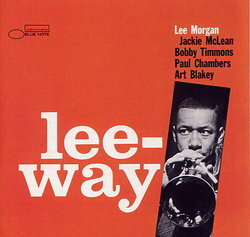 JazzWax tracks: You can buy Lee Morgan's Leeway here. 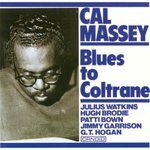 Cal Massey's only album as a leader, Blues to Coltrane (1961), which includes Julius Watkins on French horn and Jimmy Garrison on bass, can be found at iTunes for just $5.99.